Businesses often have a singular problem that can create a serious image problem for the company. That problem is the poor installation or poor choice of a business phone system. Systems, such as Avaya phone systems do not have the same issues as some of the less expensive, or even as some of the more expensive phone systems do, because they are built with experience and made to last and grow with a company. 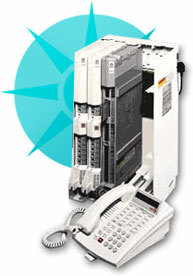 Avaya phone systems are one of the premier business telephone systems solutions in the United States. With a vast array of products like the Avaya Partner 34D - 34 Button Display Phone or system add on features such as the Avaya Merlin Magix Processor/Control Unit - R4.0, which allows an additional 80 lines and 200 extensions to be added onto your current Avaya phone system, companies can feel comfortable in the knowledge that Avaya phone systems are going to meet their current needs and their eventual growth needs as well. Avaya phone systems also provide their own power back up system (sold separately) for those instances that a power outage or even a disaster occurs in the vicinity of the company using Avaya phone systems. A company with a system that does not fail during an emergency becomes the better choice for clients, especially those whose information is time sensitive and that need the business they use to be available 24/7. A spin-off from powerhouse company Lucent technologies, Avaya began producing their Avaya phone systems in October of the year 2000. Their desire to succeed prompted them to develop and patent new and better systems to meet the communication needs of companies of any size. Their belief that all companies require excellent communication has led Avaya phone systems to be one of the best selling phone systems in the world. To expand their company Avaya phone systems have the capabilities to be expanded on from a very small purchase. This creates an opportunity for smaller companies with little capitol to purchase a system at an affordable price that will give them high dollar results. Furthermore, as the small company grows into a large company, their Avaya phone system can grow with them. Like most high end systems, Avaya phone systems boast many capabilities, such as sending mp3’s to the user’s voice mail systems, the ability to use the phone through a PC or laptop when the user is off site, industry standard like voice mail, but with additional options such as away from my desk voicemail, out of the office voice mail, or on vacation voice mail, multi line use from one phone that gives the appearance of a direct line no matter which line the consumer uses, and much more. Conference calls on Avaya phone systems lose no quality regardless of how many people participate, and speaker phones have the same clear sound as using the handset, almost unheard of with any phone system. Businesses who choose Avaya phone systems are purchasing in the very best for the company and feel comfortable knowing that Avaya phone systems will continue to grow and are ready for the future, now.